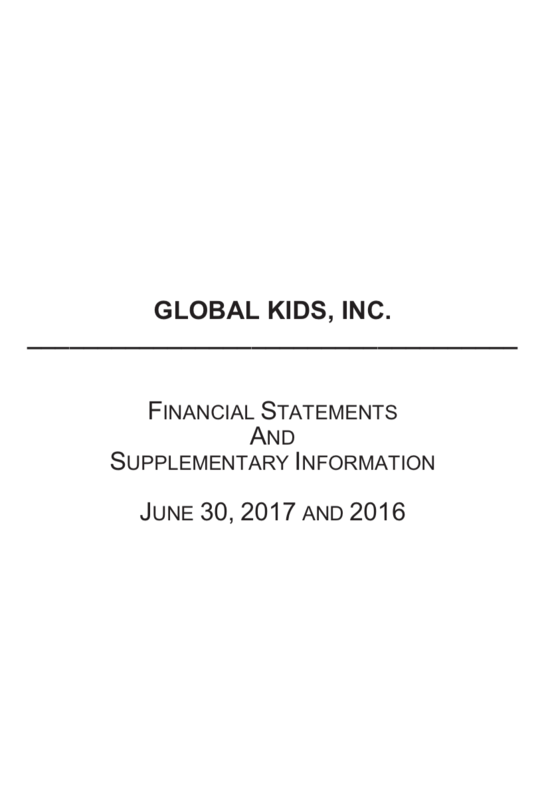 Click here to view Global Kids’ FY17 financial statements. 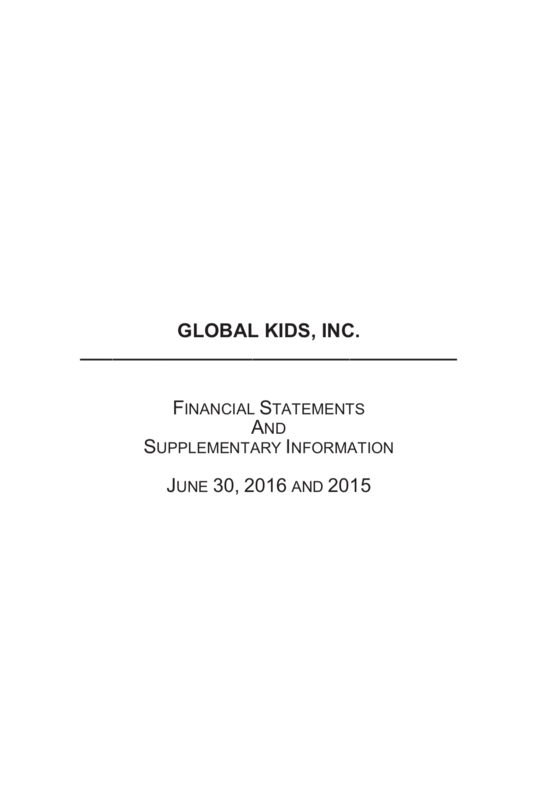 Click here to view Global Kids’ FY16 financial statements. Click here to view Global Kids’ FY16 Form 990. 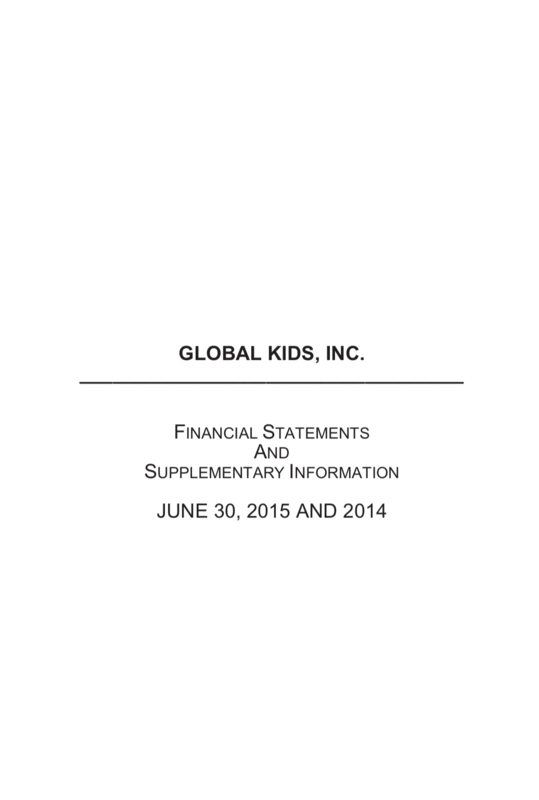 Click here to view Global Kids’ FY15 financial statements. 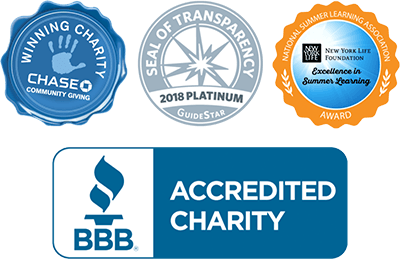 Click here to view Global Kids’ FY15 Form 990.